Now this is an extra special scented soap. Using the Rose Otto Organic Essential oil is what truly makes this soap absolutely gorgeous. 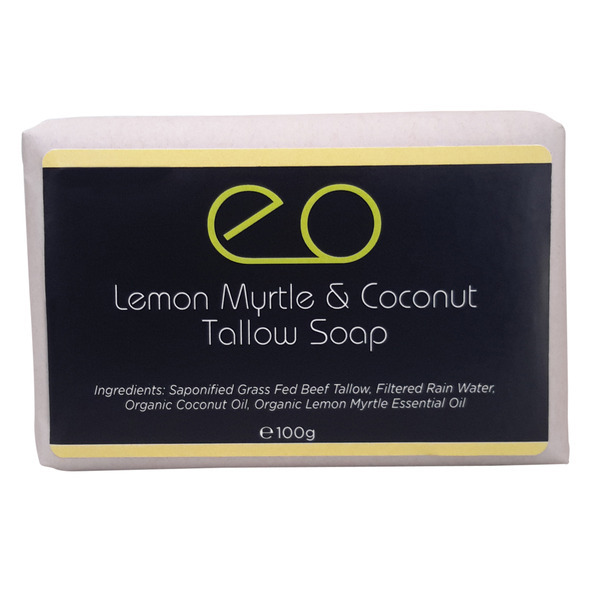 This soap is unlike any other that you will find, for scent and moisturising properties. Now this is an extra special scented soap. Using the Rose Otto Organic Essential oil is what truly makes this soap absolutely gorgeous. 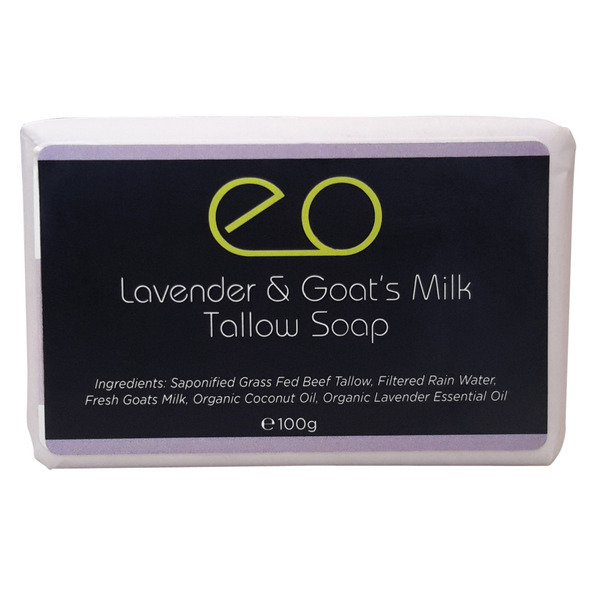 This soap is unlike any other that you will find, for scent and moisturising properties. 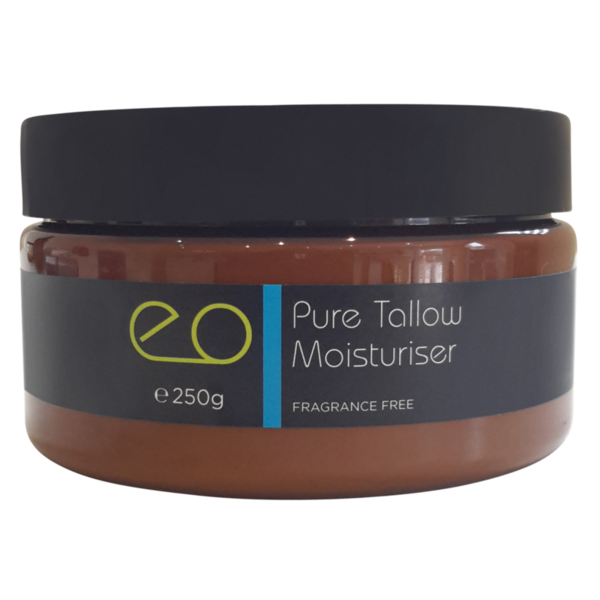 All our soaps are made free from contamination, it is perfect for the most sensitive of skins. 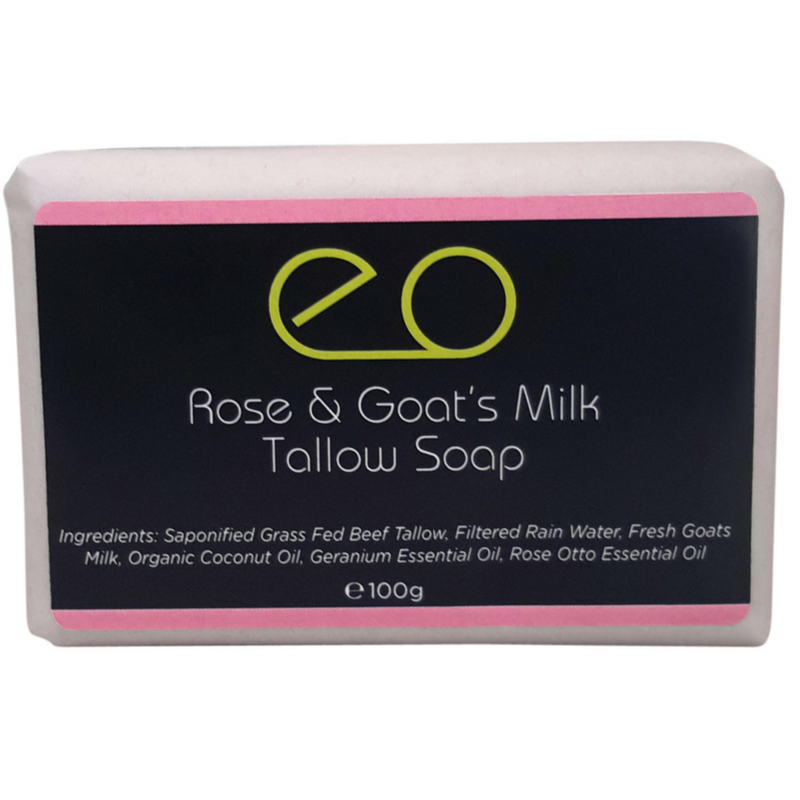 Our Rose & Goat's Milk Tallow Soap creates a calming rich lather which leaves your skin soft and smooth and smelling so divine. This 100gm rectangular block soap is wrapped in biodegradable white paper. Our soaps aren’t for special occasions, they are designed to use everyday. 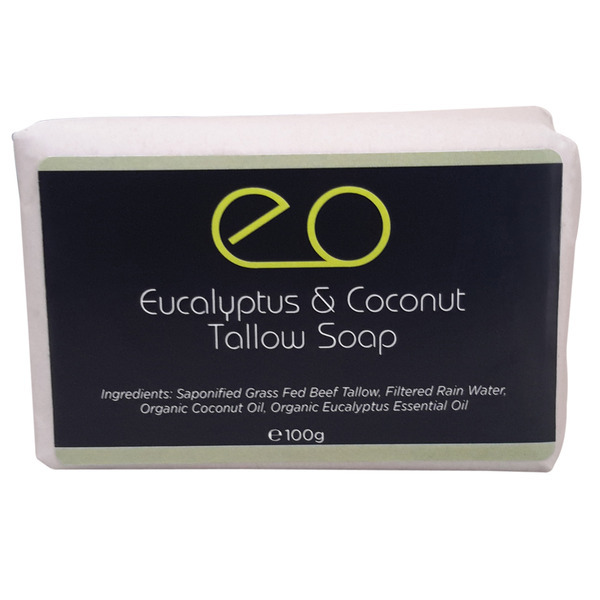 If you have chemical sensitivity we suggest you use the Pure Tallow Soap. I use this soap as my daily face cleanser. My face feels amazing every time I wash it. 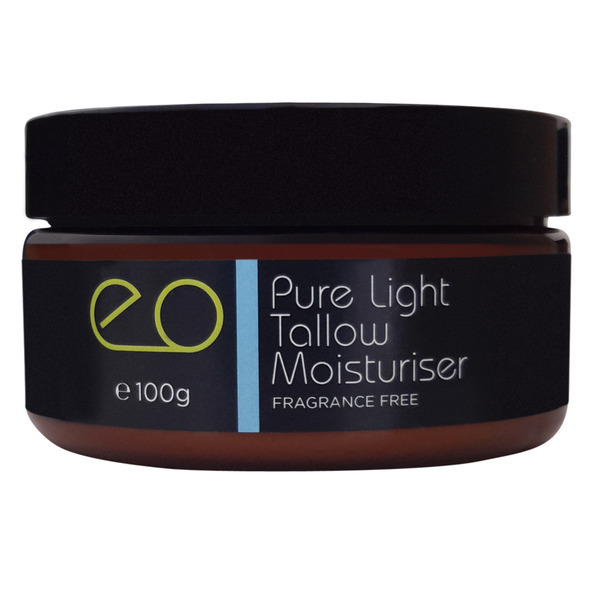 I follow it up with the Light Tallow Moisturiser. My skin routine hasn't been this easy in years, and my skin hasn't looked this good in years.